What kind of diet is best for maintaining the health of aging brains and bodies? A common answer these days is the “Mediterranean diet,” due to a combination of recently published research studies and frequent media coverage. In fact, a study published earlier this week found that older Spanish women who were randomly assigned to stick to a Mediterranean diet — supplemented by extra olive oil — developed fewer cases of invasive breast cancer, compared to women who were merely advised to reduce dietary fat. This study was published by the same research team that reported earlier this year that Spaniards assigned to a Mediterranean diet — supplemented with either olive oil or nuts — experienced less cognitive decline. And a 2013 report from the same group found that the Mediterranean diet led to a 30% decrease in cardiovascular events (strokes and heart attacks). Does this mean you should hustle to make sure your older relatives are eating a Mediterranean diet? Well, maybe. I will go into the study details later in the post, but for now, let’s say that the diet used in the study seems very sensible, provided one doesn’t suffer unduly from limited access to pork and cookies. As is the case for many lifestyle changes that might affect cancer and dementia, a healthy diet reduces risk but is just one factor among many. Still, if we’ve learned of a good way to eat, why not consider it? 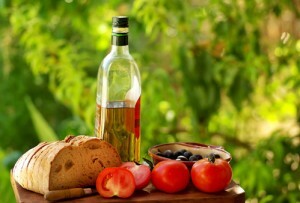 Just what was the PREDIMED Mediterranean diet?? Fortunately, it is possible to find the research study’s materials online, and they describe the recommended diet in detail. If you can read Spanish, you can view the patient education materials via this PREDIMED website. This site also has recipes and shopping lists. Cook at least twice weekly with a sauce of tomato, onion, and garlic, which should be made by simmering these ingredients in olive oil. Use this as dressing for vegetables, pasta, rice, and other dishes. Consume the following foods as desired: nuts, eggs, fish, seafood, low-fat cheese, dark chocolate, and whole-grain cereals. Aim for less than one serving per week of cured ham, red meat, and fatty cheeses. In addition to the above recommendations, half of the people assigned to the Mediterranean diet also had to consume extra olive oil (one liter per week) or extra nuts (30g per day). Wondering how your diet compares? You can see the dietary quiz investigators used (in English) on page 22 of the Supplemental Appendix. You can also view the recommendations for the “low-fat” diet, which was used as a control group, on page 23 of the Appendix. Notably, the low-fat diet recommendations discouraged cooking with oil or eating nuts. In reviewing the Mediterranean diet, I was struck by the lack of limits on carbohydrates. (Note that the study period pre-dates the current trend to consider less gluten and grains, but then again having diabetes was one way to be eligible for the study.) Nor did I see anything about limiting salt, which is interesting given participants were at high risk for things like stroke and heart attacks. I also wondered to what extent Mediterranean diet participants were encouraged to eat beans and similar foods; these are called “frijoles” (beans) or “garbanzos” (chickpeas) or “lentejas” (lentils), and I didn’t see them on the Spanish diet description handout that was given to participants, although those ingredients do turn up in the recipes. Now let’s talk a little about the study itself, so that you can learn more about whether the results are likely to apply to your family. The best studies in clinical medicine, when it comes to assessing the effectiveness of a treatment or intervention, are “randomized control trials,” (RCTs). In these research trials, participants are carefully recruited, randomly assigned to receive some kind of treatment, and then are assessed for a health outcome of interest after some period of time. Doing an RCT properly takes a lot of time, effort, and organization for the researchers; it’s much harder than doing an observational study, which is what many diet studies are. In a RCT, researchers have to specify at the beginning what kind of people they want to recruit, they have to decide which aspects of participant health to assess at the beginning, they have to deliver the intervention — and any placebo, or “control” treatment — reliably to participants for as long as the study takes, and then they have to properly follow participants and assess health outcomes of interest. PREDIMED, as best I can tell, was a nice well-organized effort, in which investigators recruited 7446 older adults in Spain. The research team maintains a website here, and the study protocol is described here. The overall goal, as stated at the outset, was to study the effect of dietary intervention in older adults at high cardiovascular risk. The main outcome of interest was having a major cardiovascular event, such as a heart attack or stroke. The investigators also studied extra issues in subsets of the participants, so the data for the breast cancer and cognitive decline reports mentioned above comes from those. Participants were recruited in Spain from 2003-2009. To enter the study, participants had to be men aged 55-80, or women aged 60-80. To define people at “high risk” for cardiovascular disease, participants had to have either type 2 diabetes, or at least 3 of the following risk factors: smoking, high blood pressure, high cholesterol, obesity, or family history of premature heart disease. Participants in each group met with dieticians every three months. To know whether participants were sticking to their assigned diets, the investigators asked people to complete diet questionnaires regularly, and they also checked bloodwork yearly. The research regarding the primary outcome of the study was published in 2013. Out of 7446 people, most of whom were followed for 3-6 years, 288 (3.9%) had a major cardiovascular event: a heart attack, stroke, or death from cardiovascular causes. People assigned to one of the Mediterranean diets had about a 30% lower risk of having an event. An interesting editorial published in the New England Journal in 2013 noted that PREDIMED was ended early when the researchers noted such a big benefit (it’s considered unethical to continue a randomized trial if one group is clearly doing better), and that early termination of trials tends to “spuriously inflate estimated benefit.” A number of interesting points are made in the editorial, so I would recommend it for those who want to dig deeper into this topic. To study the effect of the Mediterranean diet on cognitive decline, the researchers performed extra testing on a subset of 447 participants. These people had neuropsychological testing at the start of the study, and people with mild cognitive impairment or depression were excluded. Three-quarters of the initial participants had follow-up cognitive testing at the end of the study; average follow-up time was close to 4 years. This cognitive sub-study found that participants assigned to either of the Mediterranean diets maintained stable levels of cognition, whereas the ones advised to follow a low-fat diet experienced a small amount of cognitive decline. PREDIMED is a pretty good research study, as these things go. But the best scientific conclusions come from reviewing lots of studies. When it comes to diet and brain health, we are in luck because the Institute of Medicine just published a report on cognitive aging earlier this year, and to prepare it, their experts did extensively review the scientific research on diet and cognitive health. You can read the actual report online, in all its detailed glory, and the section on diet starts on page 124 here. DASH, by the way, stands for “Dietary Approach to Stop Hypertension,” and is another healthy eating approach seniors might want to consider. There are two main things to consider, when you read about research on the Mediterranean diet (or any intervention, for that matter). The first: how similar are you or your relative to the study participants? The second: how much of a beneficial effect should you expect? PREDIMED was notable for enrolling people at high cardiovascular risk but not with diagnosed disease. So we don’t know how much of an effect the diet would have on a senior who has already had a heart attack. Still, it doesn’t seem likely that the PREDIMED diet would really increase the risk of problems for an older adult, and it might help. So it’s a reasonable approach for those who are willing to follow the dietary parameters. Still, it’s often possible to get at least a ballpark estimate. For PREDIMED and the cardioprotective benefit (the 2013 study), they found a 30% relative risk reduction. They also had 3.9% of participants have an event. Want to be optimistic and expect the diet to reduce your risk by 50%? Ok, your initial 5% event risk would go down to 2.5%, your absolute risk reduction would be 2.5%, and your NNT would be 40. So you’d have a 1 in 40 chance of benefit. Of course, if you are really high risk for an event, e.g. 20% risk for cardiovascular emergency over the next five years, then you are much likelier to benefit from an relative risk reduction of 30%; your absolute risk reduction would be 6% and the NNT would be 17. Note that a NNT of 67 is nothing to scoff at. Statins are generally estimated to reduce cardiovascular risk by 20-30% and correspond to a NNT of 39-125, depending on the type of event being prevented. But the bottom line is: many interventions can reduce risk, but they often reduce it less than people might realize. So, a Mediterranean diet shouldn’t be considered a magic shield against cardiovascular disease, dementia, or breast cancer. But different aspects of a healthy lifestyle can certainly add up. So go ahead, consider the Mediterranean diet studied in PREDIMED. You might even be able to replace a statin with a Mediterranean diet. Just don’t forget to try to incorporate all the other things that are good for brain health, like avoiding risky medications and getting enough exercise. My cardiologist,Dr. Mark Nathan, told me about a study where patient takes BP 4 X daily for 1 week every quarter and takes the average of each quarter. I have been doing this for 2 years. I am 78 and have been able to eliminate the 4th BP medication I was on by tracking my BP. Keeping a record and working with my doctor gives me a sense of control. 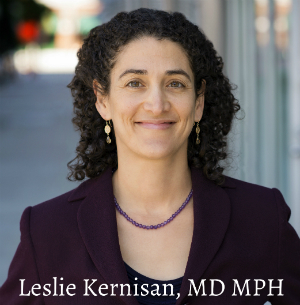 Great that you are tracking your BP and being proactive with your health! I have more information on measuring BP and finding the right medications here: 6 Steps to Better High Blood Pressure Treatment for Older Adults. In this article, there’s a link to an expert guideline which recommends that people check BP at home twice a day for a week. Not sure if 4x/day is much better than 2x/day, but checking several days in a row at home is certainly a good idea. What is most important is to avoid making medication changes based on a single rushed office BP, because those are often not reflective of people’s usual BP. Hope your BP control continues to go well. I’ve just got to say….your articles are well beyond the usual level of medical advice and explanation given. I’m a provider who spends a considerable time reading the literature, and your writings are amazing. Thank you so much for the time and energy you invest in the health of the rest of us. Seriously. My mom started as depression,now she is diagnosed with ADLS. What can I do? On this site, “ADLs” usually refers to Activities of Daily Living. But that’s not a diagnosis…it’s a category of key life tasks that we often assess, as described here: What are Activities of Daily Living (ADLs) & Instrumental Activities of Daily Living (IADLs)? I really appreciate your articles. The depth, the insight and the detailed explanation in all of your postings are so helpful. Thank you for taking the time to write. Thank you for caring. Thank you, glad you are finding the articles helpful. The investigators de-emphasize one VERY important detail: They eliminated from the results the participants who consumed more than a maximum number of calories overall. This study parameter caused them to eliminate twice as many participants in each of the Mediterranean diet groups as in the low fat group. Although overall caloric intake is not the only thing that matters, it may be significant. We cannot know from this study, because the made this interesting choice. We do know that the Mediterranean diet is more likely to result in participants eating too many calories. So, the PREDIMED study has been critiqued for a variety of reasons, but this is the first time I’ve heard this particular issue raised. It would be extremely surprising and unusual for researchers to eliminate participants for such a reason, it would basically make the study unpublishable in a serious journal. If you randomized participants, you have to analyze them. Now, I did just review the study in detail and what I see is that people did drop out of the study (which always happens in a trial) and that more people dropped out of the low-fat group compared to the other group. The study investigators compared the characteristics of the drop-outs to those who remained in the study, and in the results, they note that dropouts had a higher BMI. One common critique of PREDIMED is that the low-fat “control” arm was probably quite high in carbs. These days, experts increasingly believe that a high-carb diet might be harmful (at least to certain types of individuals), and so the “control” in this study was not as benign as the investigators perhaps had originally intended. Well, it sounds like they saw signs of cerebral small vessel disease on your MRI. This would not be surprising, both based on you being in your 80s and also you have had stents, which are usually placed to help treat coronary artery disease. My understanding is that we don’t yet know exactly what diets are most likely to slow or reverse atherosclerosis. Certainly, lots of fruits and vegetables seems advisable, along with less sugar, fewer simple carbs, and minimal processed foods. There are some medical doctors who have written popular books on brain health and/or heart health, they tend to make more specific dietary recommendations, you could get more ideas on dietary changes to try from those books. Otherwise, if you are struggling with your balance, I would recommend a comprehensive evaluation and consideration of physical therapy to improve balance and lower leg strength. These have been shown to help older adults at high risk for falls, they help strengthen the body and train the brain to compensate for existing deficits. Learn more here: 052 – Maintaining Mobility & Preventing Falls in Aging: Myths & Truths. It’s worth noting that true double blinded randomized controlled trials– the ideal held up as the standard of evidence that leads one to proceed with enthusiasm in medicine– is nearly impossible when examining full dietary patterns. This is one of the reasons that there remain hesitations about recommending Mediterranean-style or DASH diets. In the field of nutrition, the body of evidence is generally considered to be substantial enough for it to be a good practice for adults who are willing and able to incorporate key aspects into their diets (and I do to clients). The newest Dietary Guidelines is beginning to reflect this, but policy does run behind research! It’s possible to do double blinded RCTs when you provide participants with a processed slice of pumpkin bread with an unknown type or amount of fat in it (but it can be hard to formulate that pumpkin bread!). To truly process so many food ingredients into forms not easily identified by the participants would most likely alter their chemical composition in some important ways (example: destroying heat-sensitive vitamins). Yes, it’s true that it’s difficult to do really high-quality rigorous research in nutrition. Also there seems to be a lot of individual variation in how people respond to certain foods and diets, so I suspect that fairly soon we’ll move towards a more personalized nutrition approach, where we have better tools to determine how a person is responding to a diet and adjust accordingly.